For a few years now, Samsung has been regularly releasing rugged version of its flagship smartphones. Traditionally carrying the 'Active' moniker, said devices have been boasting the same internals, doubling down with better isolation from the external elements, and usually donning a larger battery at the rear. 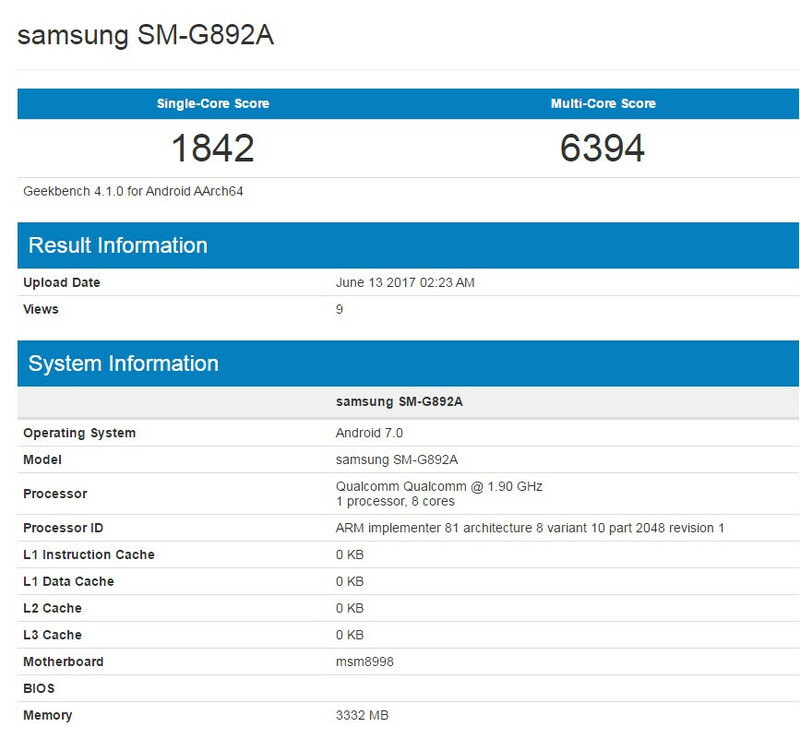 It seems that the Galaxy S8 is also getting the Active treatment, as such a device has been leaked for a while and it just recently popped on Geekbench where most of its hardware features got revealed. Just like the regular S8 and S8+, the S8 Active will be boasting an octa-core Snapdragon 835 chipset accompanied by 4GB of RAM. Running Android 7.1 Nougat out of the box, the Galaxy S8 Active got 1942 single-core test and 6394 in the muli-core one, which ss very close to the results the Galaxy S8 and S8+ got. As far as battery capacity goes, last year's Galaxy S7 Active arrived with a 4,000mAh battery, a solid increase over the regular Galaxy S7's 3,000mAh battery. We expect the Galaxy S8 Active to also don a larger battery than the Galaxy S8. Additionally, we've also heard that the S8 Active will also support Qi wireless charging. 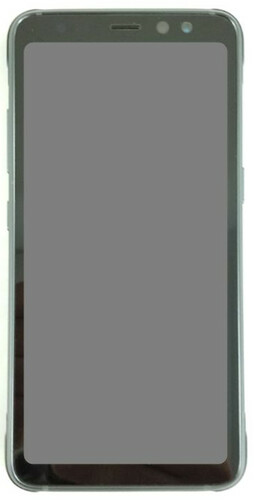 Oh, and we've already got to see a render of the phone, which naturally looks a lot like the Galaxy S8 and S8+, but does not seem to sport a curved screen. The double-sloped screen really looks neat, but it wouldn't fly nicely with the rugged nature of the Galaxy S8 Active, so Samsung has gone for thicker bezels. Judging by our Galaxy S8 vs LG G6 drop test, the S8 Active best skip that posh design element if it wants to remain intact. We are not sure when the S8 Active will be released - it could be any day now! One thing that's almost certain is that the phone will be AT&T exclusive, as is tradition. Ughh I wish this phone was available across all carriers. I'm almost tempted to switch to AT&T entirely because of this phone. You can buy it and unlock it for other networks. Even unlocked, it won't work with Verizon. You are going to hate having done that at Trade-In time. No one wants it and other Carriers offer nothing decent for it. No one wants this phone and carriers offer nothing for it? It's an S8 but more durable, flat screen, shatterproof, and a larger battery. To me, that's the perfect phone. There were internationally unlocked versions for the S7 Active on Amazon and ebay. Pretty sure the S8A will have the same. Post #6 Son had the new update before s6 and note 5 on his 7 active. So slower update is not always true. meh.... and then Samsung as usual wouldn't release this internationally as per their still on payroll marketing people's clairvoyant deductions. Amazing that Android's king of the hill still need a lesson or 3 on how to sell s**t to willing buyers after all these years. My S6 Active had Qi built in, so that's nothing new. This looks great, but I'm torn if I should wait for the Note 8... Guess it depends on the battery size they squeeze into the Active and if it actually keeps one of it's best features, the Active button, and doesn't waist it on that useless Bixby crap. This really is one of the best phones out there, shame AT&T keeps bogarting this series, although I hear it works fine on T-Mobile.